Date 12.12.2016 A number of job opportunities are available for skilled workers in Australia. In particular, the construction industry in New South Wales and Queensland are looking for experienced men and women who can fill key jobs. Skilled Independent visa (subclass (189)​This is a permanent skilled immigration visa and is for workers not sponsored by an employer or family. This visa is also for skilled workers any state or territory government hasn’t nominated. To qualify for this visa, a worker must be less than 50 years old, has relevant occupational skills and has had a suitable skills assessment related to their occupation, and score at least 60 in the points test. Skilled – Nominated visa (subclass 190)This visa is intended for workers who have been nominated by a state or government agency. Only those who were invited are eligible for this visa. In addition, they must have relevant occupational skills, obtain a suitable skills assessment for said occupation, be less than 50 years of age, be competent in English, and score at least 60 in the points test. 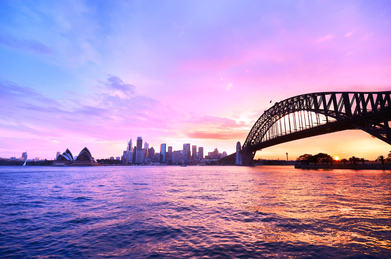 The two visas listed above provide permanent residence in Australia. Application to those visas usually takes three to six months. Aside from those two, it’s worth considering a Temporary Work (Skilled) visa (subclass 457). It is for workers who are sponsored by an employer for up to four years. You are also eligible for a tax return when you return home after working in Australia. You can apply here to get your tax back. – or visit our dedicated Skills Assessment Page.